I'm sure many of you, when reading the name of the RPG there, have a very specific scene in pop culture in mind. And that's the whole point. 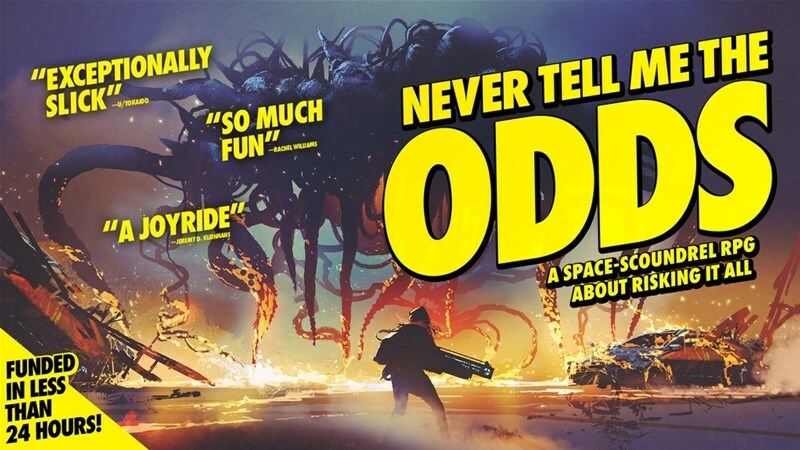 Never Tell Me the Odds is a sci-fi RPG about space scoundrels gambling it all. Sometimes they win. Sometimes they don't. It's all about what they're willing to risk in order to retrieve what they care about most. The game is up on Kickstarter now. The campaign's making its way to 9x funded, but there's only 6 days left to get in on it.